The Penthouse Group represents Katsushika of Japan in the Western cosmetic market. Katsushika is known worldwide for cutting-edge technology in the manufacture of lipstick cases and various high-end metal containers. 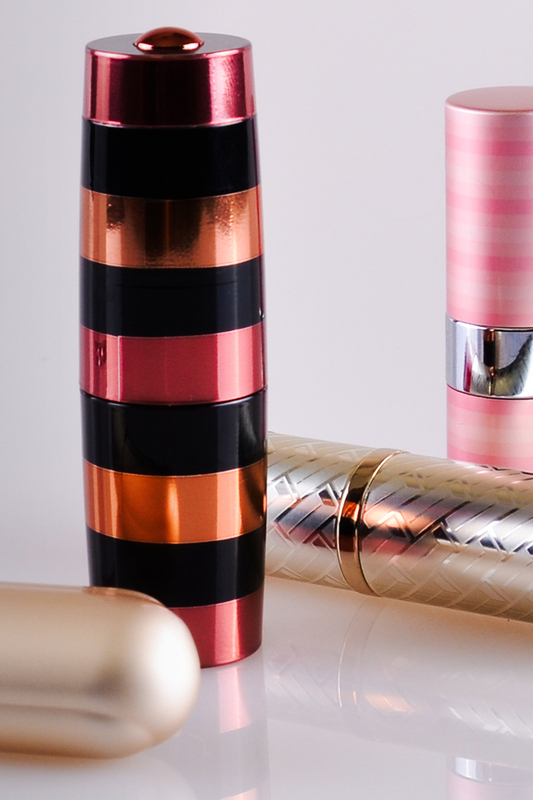 Included among its worldwide-patented innovations is the 36-spiral helicoid lipstick case mechanism. Lipstick cases featuring this technology offer ultra-smooth movement and significant manufacturing cost efficiency. Manufactured in Japan and Thailand, the full line of Katsushika cases ranges from 8mm lipsticks through stick size foundation.